We would like to express our sincere thanks to you and Imperial Martial Arts for providing our daughter Isabella with an amazing platform to grow. Another six (6) months have passed and Isabella's mental and physical strength has grown. Her knowledge and skills are improving under your direction. Isabella's commitment to the art of Kart is paramount for her and she takes great pride in striving for the goal of black belt. It is a pleasure to watch her grow and succeed under your wing. Jalen began studying Tae Kwon Do over one year ago when he was five and a half years old. Although at times he acts like a typical hyperactive seven year old boy; his father and I have noticed great growth as it relates to his self-discipline and self-confidence. In addition , he has grown immensely in regards to physical development, including strength, one, stamina and balance. We are committed and understand that it will be a long journey in route to his black belt. We feel confident that through the guidance of Master I and Master Jim; Jalen will accomplish his goal of earning his Black belt. In closing, we feel blessed and honored to be apart of the Imperial Martial Arts Family. Our Family appreciates your time, energy and dedication. We look forward to great things in the months and years to come. Rowan continues to love his martial arts classes and works hard at Tae Kwon Do as he does with everything else he is involved with. The teaching at Imperial Martial Arts have been a positive influence on Rowan's general behavior, and the skills he practice in these classes improve his overall ore strength and balance and generalize to other activities. Rowan excels in school, both at physical education and academics recently scoring at the 99th percentile (national norms) in verbal reasoning, reading comprehension, and quantitative reasoning on standardized testing. Rowan is an avid reader with a tremendous stamina for reading (often 2 to 3 hours at a stretch). He manages to fit in cello practice throughout the week and his music instructor says he has a genuine talent for this instrument. Rowan gives everything he does his best effort and appreciate life with a cheerful attitude, as his teachers and coaches in other sports have noted. He never complains about his busy schedule of homework and other work. he has enthusiasm for all of it! He is unfailingly respectful to adults and gets the highest marks in school for upholding community standards and being helpful to peers. Rowan has always been kind and patient with younger children and he really enjoys being a student teacher at Imperial Martial Arts. We feel he has earned this promotion to red belt. Rowan is very excited is looking to the ceremony, and to continuing to learn and grow in martial arts. I am writing this on behalf of my son, Freddie. His experience at Imperial continues to be great. The structure and positive reinforcement that the program offers has been so good for Freddie. This program builds his self confidence and teaches self respect and respect for others. It also helps him set and achieve goals. An example of this was the pretest. This was a big goal for Freddie, so he worked really hard and passed. Imperial also develops teamwork and socialization skills. The leadership and guidance that he continues to get has been wonderful. This school has been a positive influence in all aspects of his life. Outstanding Family run operation! Thank you for being so understanding and helpful! The IMA academy combines quality of instruction with concern for their students. The ‘family business’ vibe shines through. 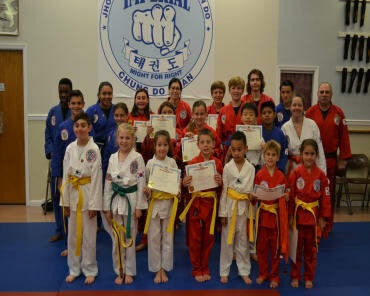 My children have changed in a very positive way since entering this martial arts academy. They are more confident, stronger and more disciplined thanks to the instructors at Imperial. I learned about IMA through a friend's referral. I have referred the academy to many of my friends, who are now students themselves. I am very happy to recommend Imperial Martial Arts. Check it out! Both my boys have learned much more than martial arts at Imperial. Skills and lessons we hope they carry with them for a lifetime. My son EARNED every one of his belts! I've talked to a lot of parents in this area, the training at Imperial Martial Arts is highly valued and respected! My son Patrick Kelleher has attended Imperial Martial Arts since 2006, when he was 8 years old. Being a part of this program has been an outstanding experience for him and helped in grow in all aspects of his life, physically and mentally. Master I and Master Jim have been great roll models and teachers of this wonderful program. Patrick has progressed all the way to Black Belt under their guidance. As he starts his senior year in High School and starts planning to go away to college, I know Patrick will always have a strong connection there and will always come back and visit. Many Thanks Master I, Master Jim and Mrs. I too! I have earned my Black Belt years ago through Imperial. Greatest Time of my Life!